Ann Arbor, Mich. — One of your car’s oldest features has been put to a new, high-tech use by University of Michigan researchers. Utilizing a test fleet in the city of Ann Arbor, engineers tracked when wipers were being used and matched it with video from onboard cameras to document rainfall. 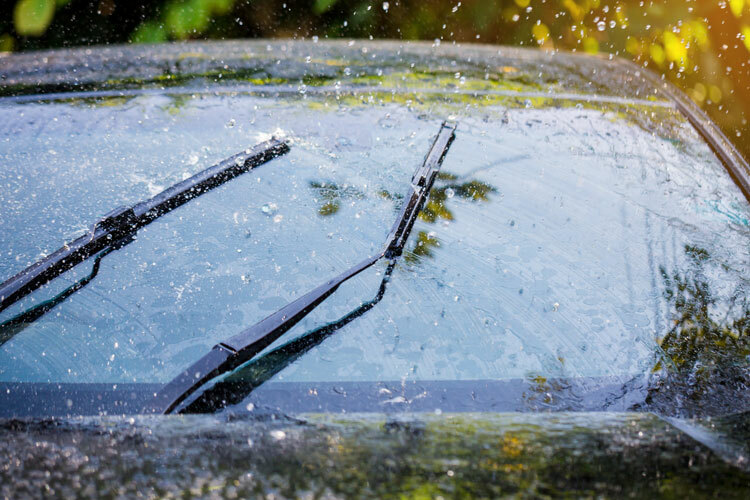 They found that tracking windshield wiper activity can provide faster, more accurate rainfall data than radar and rain gauge systems we currently have in place. A community armed with that real-time data could move more quickly to prevent flash-flooding or sewage overflows, which represent a rising threat to property, infrastructure and the environment. Coupled with “smart” stormwater systems — infrastructure outfitted with autonomous sensors and valves — municipalities could potentially take in data from connected vehicles to predict and prevent flooding. That program, called Safety Pilot, was at the time the world’s largest connected vehicle test program with roughly 3,000 participants. It continues and is now the Ann Arbor Connected Vehicle Test Environment. The research appears in Scientific Reports: Windshield wipers on connected vehicles produce high-accuracy rainfall maps (https://www.nature.com/articles/s41598-018-36282-7).